Why was Panini ever born? Panini, who, you ask? Well, he was the guy from Kandahar, now in Afghanistan. The time he was born Kandahar did not have the rather notorious reputation as it has now. It was then called Gandhar (गांधार). Panini’s claim to fame, or to infamy, was Ashtadhyayi (अष्टध्याई), his seminal text on Sanskrit grammar. It was written way back in 4th or 5th century BC, no one knows exactly when. He is known as the father of Sanskrit grammar. I do not know- nor do I care- whether he is the one who prescribed stuff like: Ramah, Ramau, Ramaah, Ramam, Ramau, Ramaan (रामः, रामौ, रामाः; रामम, रामौ, रामान) etc etc. Ending in Hey Ram, He Ramau, Hey Ramaah (हे राम, हे रामौ, हे रामाः). That is called shabd-roop (शब्द-रूप). There is also another devious variant called dhatu roop (धातु-रूप). Pathati, pathatah, pathanti (पठति, पठतः, पठन्ति). And I shall not even mention the multiple lakaars (लकार’s) of the language.. lot lakaar (लोट लकार), lat lakaar(लट लकार), etc. Sanskrit was mandatory for all of us in our sixth and seventh standard will forever be etched in my mind as sheer torture. Not that it is Sanskrit alone which is strict in grammar. I discovered some ten years later when I took a German language course in my University days that German too was a torture. Declamations like der-die-das, dem-die-dan were most taxing. There is a gender attached to all nouns in the German language. Any “thing” could be masculine, feminine or neuter. So you needed to know exactly which gender something was classified in. For a student it amounted to mugging up stuff, never a pleasant activity! Here is a small sidelight to my brief six month German course. The final exam was two-pronged: hundred marks for theory and fifty for the orals, or viva. I scored 37 marks out of 100 in the written paper, just to clear the pass mark (35%). In my orals, I got more marks, forty or so out of fifty! My son, who is now in his tenth standard had a choice of Sanskrit or Hindi when he entered the ninth standard. I was not surprised that he chose Hindi though most of the class took Sanskrit as it is a higher scoring subject in the 10th boards. I tried to persuade him to stay with Sanskrit, but he was adamant. And Hindi it is for him! Bangla does not have this gender issue, so both men and women say “ami khabo (আমি খাবো)”. Their Hindi belt cousins say either “mein khaaonga (मैं खाऊँगा)” or “mein khaoongi (मैं खाऊंगी )” depending on the gender they belong to. Hence it is pretty common for the Bengali-speaking guy to say stuff like “mein jaayegi (मैं जायेगी )”, “mein khayegi (मैं खाएगी )” etc. There was this curious case of a burly, moustachioed and an altogether macho-looking colleague of mine, telling someone on the phone “Mein Ram bol rahi hoon (मैं राम बोल रही हूँ)”. I can quite imagine the startled look on the face of the person at the other end of the telephone who always thought Ram was a male. I would often take a dig at Ram and ask him, “Ram, kya aapko ling-dosh hai (क्या आपको लिंग-दोष है?)?”. I made this remark as I was sure that he did not know Hindi well. If he did, he would have walloped me soundly for questioning his gender! This brings me to a language, which I am sure you are familiar with since you have read this post till this point. English. How many of us have struggled with past participles, gerunds, pronouns and prepositions and such like. (I read recently somewhere about pluperfect subjunctive. Goodness!) I do not know if it still in vogue now- but given the hallowed status it had when I was a school student- I am sure it must be. The grammar book of the venerated Wren and Martin. Mercifully I escaped most of this English grammar onslaught. I still do not know my proverbs from pronouns, my participles from past participles. We were required to read English, to speak in English and not worry too much about the grammar. When we spoke, or wrote, the teachers made corrections as we went along. And despite my lack of knowledge of English grammar, I can write passable English. Which brings me back to Hindi. While Hindi grammar was a must in school, I had read enough Hindi literature on my own that I knew exactly when a particular gender or a turn of the phrase was to be used. I did not have to go through the karta, karam stuff to figure out the correct construction of a Hindi sentence. My reading of Premchand, Nandan, Parag, took care of this automatically. And, of course, I had the advantage of my father being a Hindi professor. My Bangla is not sound, but whatever I speak is generally OK. I learnt it through my Bangla-speaking friends and neighbours, not in a classroom. Ditto for German, though the friend was replaced by my German teacher, Frau Melise. She never really bothered about the grammar but taught by chatting with all of us in the language. Now you understand why I got more marks in the orals piece of the final exams. Now back to Sreeman Panini. Despite having said what I have, not knowing Sanskrit has been a big regret in life. I wish I knew the basics as now with age I feel the urge to be able to understand the Sanskrit shlokas I hear in the mornings. And now I know it is not Panini’s mistake at all, in fact he did something noble by putting the Sanskrit grammar together. I wish my Sanskrit teacher in school would have taught me the subject differently. By not focusing on the grammar but on the spoken language itself. Kids can learn a language pretty well if they are taught in a manner which enables them to learn. Why force grammar on these unsuspecting kids! Oh, why? 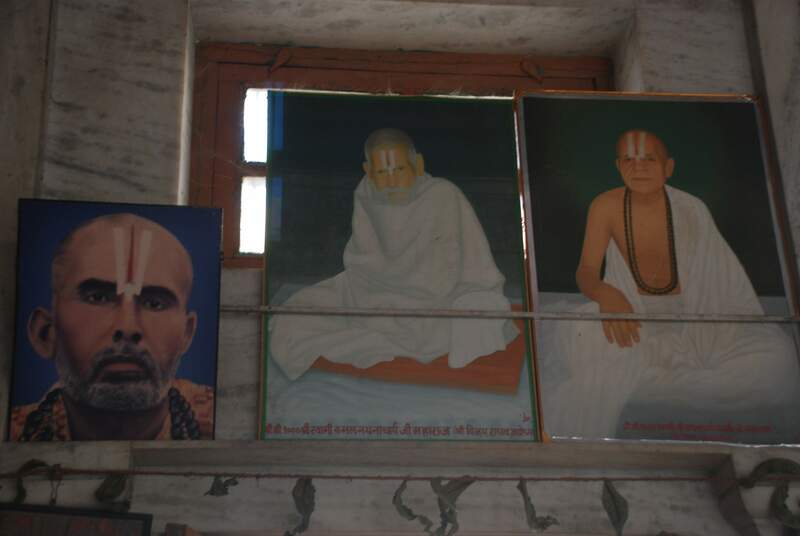 The picture you see above is of Swami Kamalnayan. This post is a rather extra-ordinary story about Swamiji who is the chief protagonist and my brief encounter with him. Kanti Ojha left his house when he was ten years old, some 110 years ago. He was studying in Patna, Sanskrit perhaps. He met a group of Sadhus who influenced him enough for him to take-off with them. 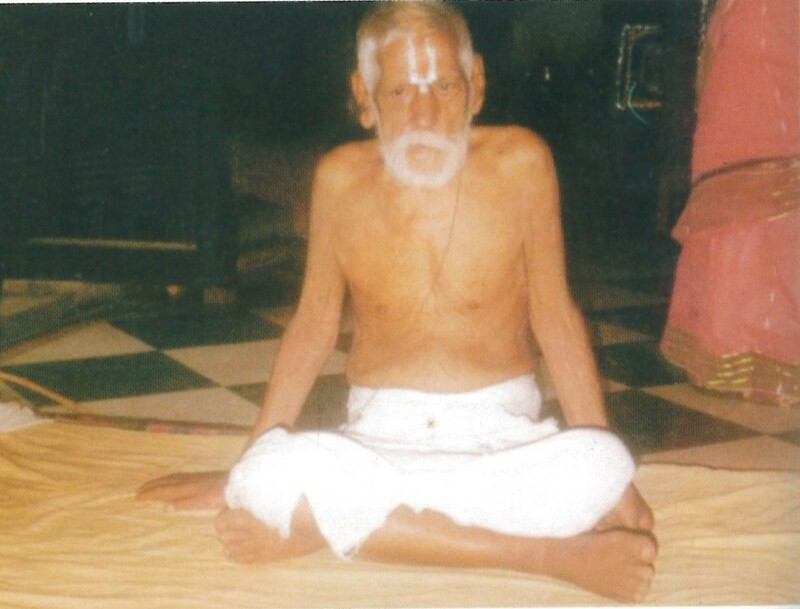 He spent a few years in the Himalayas learning all about what he did about the Vaishnavite Ramanujacharya sect. Ramanujacharya is a well-known name from Tamilnadu. A leading 11th-century saint who has a major following even now. Specially among the Iyengar Brahmins of Tamil Nadu. He wrote “Sri Bhashya” which is a commentary on Vedantic sutras. Ramanujacharya established the Vaishnav temple at Sri Rangam (near Trichy, Tamil Nadu), a revered destination for Vaishnavites even till date. After years of peregrinations, Kanti Ojha finally settled in Ayodhya, Uttar Pradesh. And in the manner of all those who renounce the world, had taken on the new name of Swami Kamalnayan. Swamiji’s mother was, understandingly, quite distraught at her son’s disappearance. She searched far and wide, but to no avail. And then 25 years after Swamiji left home she “discovered” him. Through another relative who, for reasons not known to me, had somehow figured out where Swamiji was. Swamiji met his disconsolate mother who urged him to return home as she was missing his presence. Swamiji refused to budge. But in all fairness he did get her to spend a few months at his Mandir. But Swamiji would meet his mother only in the afternoons. Between 1 and 2 pm. When not many were around but for Swamiji’s trusted people. On her next trip many years later, Swamiji told her that his mother need not miss him anymore. He was there with her. Mother had just delivered a baby boy. That baby boy was my father, Swamiji’s youngest brother. The aforementioned mother was my grandmother (daadi) and Swamiji, of course, my uncle, or tau. Badka Babuji as we call them in my mother tongue, Bhojpuri. 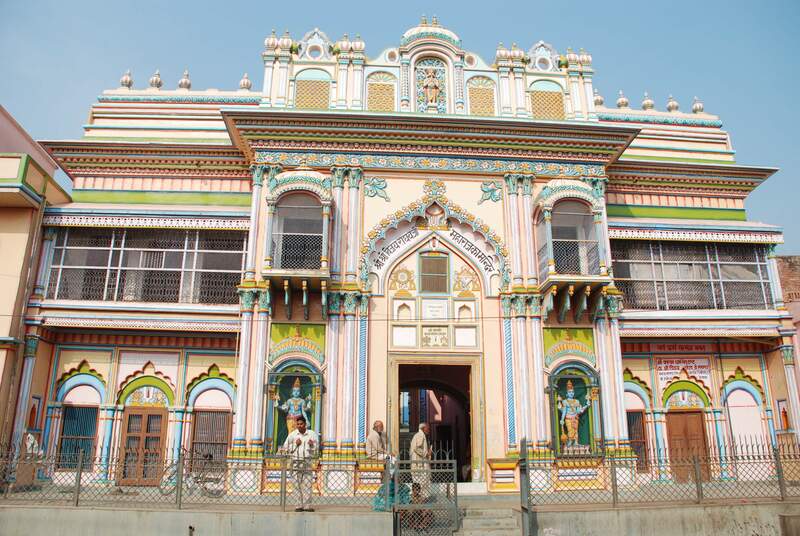 And in the years following Swami Kamalnayan worked his way up to be the head of Ayodhya’s Vijay Raghav Mandir, the mahant. He was also one of the key policy-makers of the Ramanujacharya sect. He died some ten years ago at the ripe old age of 100. A few decades later, I was visiting Ayodhya on an official trip. I was then based in Delhi working in a consumer products company. Rural-marketing was a new rage then, way back in early 90’s when the now-famous economic liberalization was just taking shape. I was involved with a new rural-marketing pilot project in Uttar Pradesh where we would venture into the interiors of a couple of districts of UP selling whatever we sold. One of the districts happened to be Faizabad and that’s where I landed to check-out this new initiative. The markets involved were villages around Ayodhya and I would spend morning to night travelling and seeing for myself the reactions to our activity. Now that has been a bit of a digression, but I thought I should let you know the context in which I landed there. The evening before the day I was supposed to leave Faizabad to return home to Delhi I suddenly remembered that I perhaps had a relative who was possibly in Ayodhya, heading one of the temples. I knew neither the name of the temple nor the name of the relative. But I knew I had to visit him. And I called my father the next morning. “I will call you back”, I said as I glanced at the STD booth meter climbing rapidly. Remember those were the early days of STD and the call rates were exorbitant. Ten minutes later, I call Pitaji back. “Ok, I will check this out.” I disconnected. As the STD machine spat out the print-out of the receipt, I wondered. Here I am, in a strange place, trying to trace a relative who I had never seen. And now I am not even sure he is alive or dead! And that too in a very turbulent time in Ayodhya. This was in July 1992, just 5 months before the demolition of the Babri Masjid. Those were tense times as old-timers of this post would remember. I decided to take the plunge and seek out Swami Kamalnayan. I requested a colleague to join me in this quest. I told him briefly the context and he agreed promptly. The approach to Vijay Raghav Mandir is hardly impressive. As we entered, a young sadhu asked us the reason for our visit. When we told him we wanted to meet Swami Kamalnayan he asked some perfunctory questions about how we knew him (“heard about him through my father who was a great bhakt”) and where we were from (“Delhi, of course”). He led us then to a room and bade us to sit on a carpet. “Swamiji is doing puja, he will join you in half-an-hour”. 37 minutes of toe-examination, carpet-scanning, ceiling-and-wall-staring and gazing-at-the-sky-through-the-window was getting on our nerves. My colleague and I dared not indulge in small talk in the hallowed -and very quiet- precincts of the Mandir. We were also getting late for our next appointment. Then in walked a slightly-built old man, complete with a white beard and moustache. With a strong and confident gait. He must have been some 93 years old then. My first thought was, “Hey, even if this guy is not Pitaji’s brother, then I should treat him as one”. His resemblance to my father was nearly complete though this old man had a beard and was at least 25 years older to Pitaji. “Santosh Ojha, son of Professor Satyadeo Ojha, a native of village Barka Singhanpura, jila (district) Shahabad (now split into three districts, Arrah, Bhabhua, Rohtas), Bihar.” This was the traditional way of introducing oneself to a venerable elder. Swamiji ignored all other details and zeroed-in only onto my name. Swamiji refused to recognize any other detail but for my name. I explained to him why I was there at Ayodhya. And what I did. And what I studied. He could understand an engineering degree, but not an MBA which I had to explain to him. He kept gazing intently at me all the while. As I did too. The same style of speaking, the same demeanour. And the same gentle, but searching look in his eyes. Just like Pitaji’s. He offered us Prasad, which we accepted. And I requested him for some pics, which he initially refused. After some persuasion, we did manage to get him to pose for some pics. Some by himself, some with me. Then there was time for goodbye. We touched his feet and departed. I turned back and looked at him. And I could see him staring at me intently. And then we were out of the door. So that was an account of my first- and only- meeting with Swami Kamalnayan- my tauji, my badka babuji. No, this is not my take on Edward Albee’s absurd play, “Zoo Story”. But an account of the “zoo” I have at home. And I am not referring to my two sons. Neither to my inclination to zoology as a counterfoil to my wife’s degree in botany. This is the story of my own menagerie, a collection of figurines of animals we have on display at home. I really do not know how this passion started, the genesis is probably in my growing up days when I yearned to have a dog (or even a cat) as a pet. My parents refused. And for good reason. Our house was too small to have pets. “Why have them captive in small confines”, they said. The fact that our household was a vegetarian one was probably also weighing in their minds. I remember bargaining even for a rabbit or a parrot, but these too were turned down on some pretext of the other. So all my dreams of having my own pet animal were paid put. The wheel turned a few decades later when I had to turn down my sons’ requests for a pet dog. “Our apartment is too small”, I told them, “Would you like your pets to suffer in the confines?” They did mention the various neighbours who had pet dogs but this would cut no ice with me. So they finally reconciled to a pet-less house. But over a period of time we have a fair collection of animal figurines from across India and from across the world. Some of these have come from my travel across the globe. Like the dodo bought during a family vacation in Mauritius, the mandatory Merlion from the innumerable trips to Singapore, the pair of kissing ducks from Seoul, the rooster and the pig from Bangkok and the carved wooden cat from a trip to Bali. And that shopping from trips within India. The set of four elephants from Kerala, the cute metal monkey and the deer from Chhattisgarh, the wood carvings of tortoise, swans etc. from Andamans, the list is long. The largest contribution has come from my friends. So the giraffe you see in our zoo has come from a friend visiting Kenya, while the bull is from another friend who visits Spain often. We have two sets of camels and we do not mind the duplication, as it is not a duplication. One comes from Egypt while the other is from the Gulf. Both from different continents! Even the Kerala elephant foursome we have has company of another four elephants. But the latter four, hold your breath, come from Ivory Coast, deep in Western Africa. This was courtesy a friend of mine in Singapore who travels to Western Africa regularly on business. Handy to teach kids the difference beteween African and Asian elephants; the ears are shaped differently! You may observe from the pic above that my collection is displayed prominently, and with great pride. And the intrigued- and interested- guest is taken around for a guided tour of my zoo. The names, the sources, the history etc. I am generous with all the details. Specially after a couple of drinks! And the “tour” concludes with a request to the hitherto the unsuspecting awe-struck visitor: to add to my collections from his next trip to wherever. The specs. are very simple. The piece has to be less than five inches tall, less than ten US dollars in price (not that I offer to pay for the “gift”) and that it should be representative of the place it is bought from. I would be loathe to have a replica of a Bengal Tiger from Belgium. One from Sunderbans is what I would be ok with. A kangaroo from Kolkata will not do. One from the deserts of Australia is more welcome. And that brings me to the purpose of this rather “blog-gy” post which you would have realized is somewhat different to posts I do. This is a blatant request to all those of you who travel, are generous, and care to buy me an animal on your next travel. The simple- and non-taxing- specifications are given above. Please do add to my knowledge of Zoology. Some biryani, some Black Label whisky and some great music (besides much gratitude) through an evening is something I shall offer in return! Goswami Tulsidas has largely shaped the Hindu sensibilities of North India, if not of all Hindus. He was neither a guru, nor a sant, not even a preacher. He mingled with the masses. He wrote for the masses distilling the essence of Vedas and Upanishads in simple, common man’s language. His most popular work is Ramcharitmanas, the story of Ram. His other works are compiled in several books e.g. Vinay Patrika, Geetavali, Kavitavali. A copy of Ramcharitmanas is almost mandatory in a Hindi-speaking household. Tulsi’s writings are meant to be sung and they have indeed been so through the last four centuries throughout India and wherever the North Indian diaspora is; Mauritius, West Indies, Fiji and so on. They have also been made into commercial recordings, the famous one being Mukesh’ 5 CD set of Ramcharitmanas. D.V Paluskar, Kumar Gandharv, Bhimsen joshi, MS Subbulakshmi, Pt Jasraj, to name just a few of the illustrious line of singers , have sung Tulsidas’ works. Another illustrious name in this series- though much younger than them- is Sanjeev Abhyankar. An exponent of the Mewati gharana and a disciple of Pt Jasraj. Abhyankar underscored his talent pretty early in his career when he got the best playback singer award for his very first film song (in the movie “Godmother”) when he was barely 30 years old. His soft, melodious voice sometimes emerging depths of deep meditation and sometimes floating in the air weaving the listener in silken strands of melody has been enthralling listeners for the past few decades. So, when Tulsidas and Sanjeev come together, the expectations are sky high. And add to this heady mix, the famous director, poet, lyricist, Gulzar. What would you expect? The rest of this piece is about the ensuing magic. Tulsidas is meant to be sung, I have mentioned this earlier. But I had not realized before I heard this compilation how musical- and magical- can musical be. This album is a collection of the poet’s works taken from Ramcharitmanas, Vinay Patrika, Geetwali, Kavitavali etc. These were recorded for the play Jo Chaho Ujiyaar based on Tulsidas’ life, which was premiered recently. The music album has just been released by Times Music. Gulzar’s introduction to Tulsidas kicks-off the CD. What follows is sheer bliss for the entire 72 minutes recording. It is a deeply researched work with selections popular and not-so-popular. Sure there is the ever-popular “Hanuman Chalisa”, but its vigorous rendition has perhaps been attempted for the first time. “Sri Ramchandra Kripalu Bhajuman” is there as well, and I have never heard a version suffused with so much bhakti, such utter surrender to Lord Ram. That stuti to Shiv, “Namami Shameeshan” is there too, but none has ever heard it similar to the two versions in this album. The serene one by Abhyankar and the vigorous- near violent- by an upcoming Lucknow based singer, Shobhit. Then there are those perennial favourite bhajans: “Tu dayalu deen hon”, and “Aiso ko udaar jag mahin”. Or this poignant piece when Ram’s mother laments his departure for vanwaas, “Ram, hon koun jatan”. And this mother’s lament sung in a male voice! See the play for the context. There are other lesser known ones, mostly pieces from Ramcharitmanas which have been integrated into this selection. The title song, if I may call it thus, “Jo Chaho Ujiyaar”, embedded in the middle of the CD, plucked from the depths of Ramcharitmanas. In one of the initial songs, “Mangal Karni, kalimal harni” Tulsidas talks about the importance of Ram Katha in the welfare of people. And the one which comes towards the end of the CD (also the last doha from Ramcharitmanas), “Mo sam deen”. And of course my favourite- if one can have a favourite in this rich collection- “Ram Vivaah”. That magic of Abhyankar coupled with the shehnai pieces of the Lucknow-based Sahibe Aalam. I press the replay button over and over again to listen to this. And Sahibe Aalam’s mesmeric shehnai comes back later too in “Sriram Chandra Kripalu Bhajuman”. Hem Singh, a music director from Lucknow, probably makes his national debut with this album. Take a bow, Hem Singh ji. I am sure we will see a lot more from you in the coming years. I am a lay reader and a lay music person. So do not expect any pithy comments on the nuances of music. I love listening to multiple genres of music. 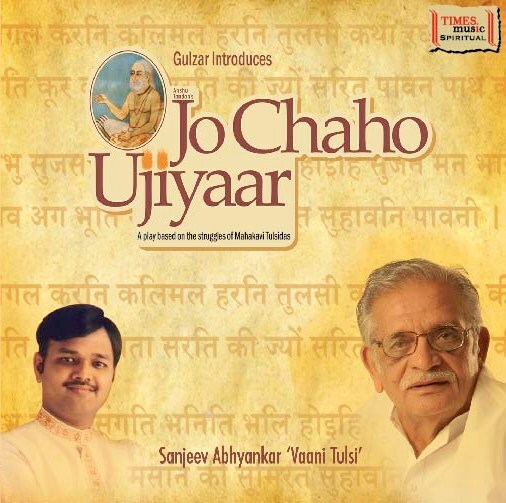 And Jo Chaho Ujiyaar is one of the best I have heard in recent years. Go ahead, enjoy this classic album. You will love it. And finally, a few personal disclosures. I have been privy to the making of this album, I have heard all the versions of the CD of this album- all the scratches. I have been privileged to have a copy of this album for the past 4-5 months, and have been listening it to it at least twice a day. Once while driving to work, and other while returning. The producer and the man behind this CD, Anshu Tandon, is a close friend of mine. And I have written about this play in multiple posts of mine. Here are the lnks: On the making of the music, my take on the play. You are currently browsing the Santosh Ojha's Weblog blog archives for November, 2009.